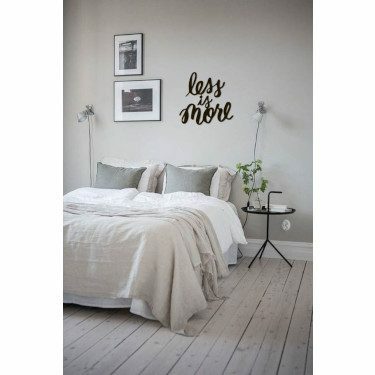 If you want to provoke a simple, minimalist bedroom you have to de-clutter your space. 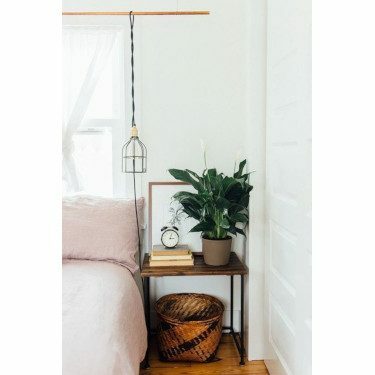 Storage, whether it’s a drawer in your nightstand or a decorative box or basket, it helps eliminate the messy look when you have too many trinkets. Make a big impact with select decor items, like art or a light fixture. Keep the bed, the rug, and the nightstands simple in design. 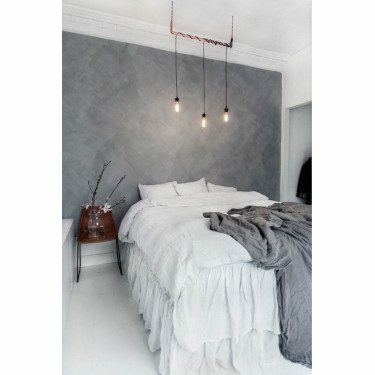 This way your bedroom won’t be an overwhelming space that may keep your senses awake at night. 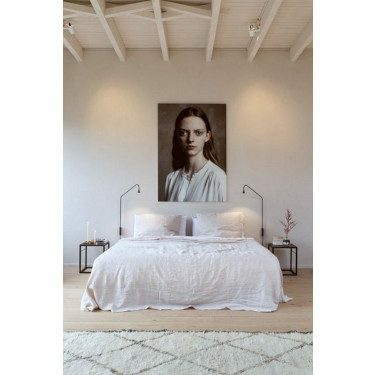 For a serene environment, stay with a muted color palette with hints of white. Keep a variety of shades to a minimum. Busy colors means a busy mind, but if you like bold colors, stick to one area and not scattered. 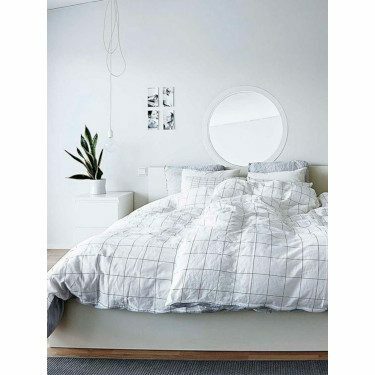 Bed linen is the star of the show when it comes to minimalism. If you want to keep it simple, stick to one solid neutral color. If you rather have patterns, keep the colors to a minimum and choose solid clean lines, like a geometric pattern. Don’t clutter your bed with accent pillows that will eventually end up on the floor, stick to one accent pillow and one throw blanket. A large solid color rug anchors the bed, while grounding the space and eliminating the cluttered look.